The SEM-Base® VI is considered to be the next generation in STACIS active piezoelectric vibration cancellation. The design of the SEM-Base VI allows it to support all commercial Scanning Electron Microscopes (SEMs), and also many Small Dual Beam and Focused Ion Beam (FIB) instruments. SEM-Base VI provides enhanced vibration isolation performance, an improved graphical user interface (GUI) and a faster more robust controller. SEM-Base VI will enable more facilities and labs to achieve the level of floor vibration needed in order to satisfy the specifications of Tool Manufacturers. 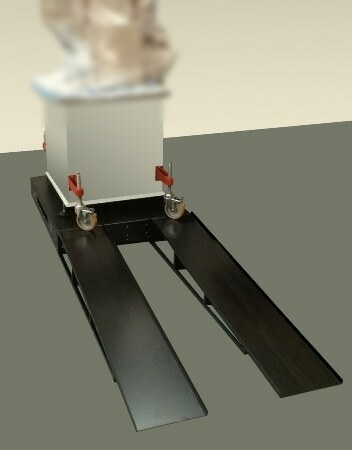 SEM-Base VI employs a unique "serial architecture" in which the vibration sensors measure floor vibration and not payload vibration. This guarantees that, unlike other designs, payload resonances do not cause instability or inherently restrict vibration isolation. The vibration sensors are low frequency inertial velocity sensors ideal for maximum sensitivity in the difficult to measure sub-hz range. 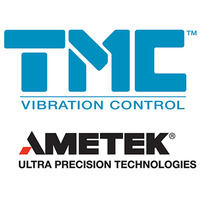 Combined with the company’s unique piezo-actuator technology, SEM-Base VI achieves extremely high levels of vibration cancelation, even on already quiet floors. 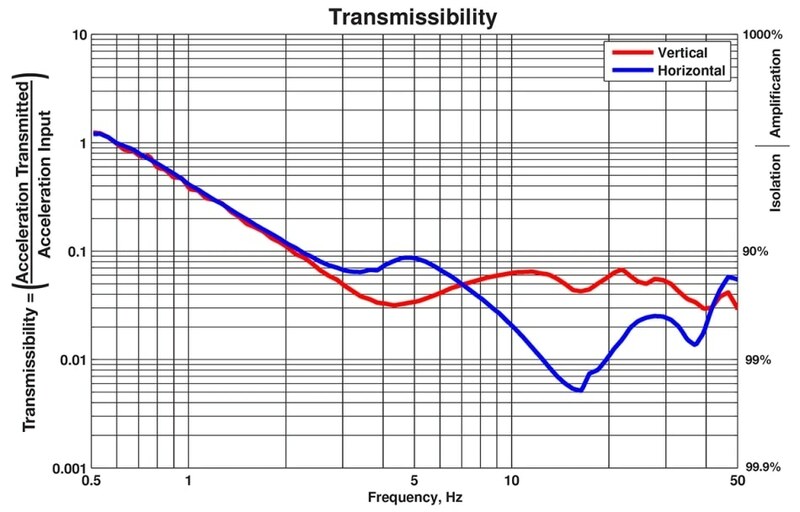 On average, SEM-Base VI provides 6 dB more vibration isolation than earlier models. Additionally, the DC-2020, TMC's next generation controller, is available with a new dual-core processor and provides tool owners and Researchers with an extremely simple and easy-to-use graphical interface suitable for fast system assessment and operational peace-of-mind. 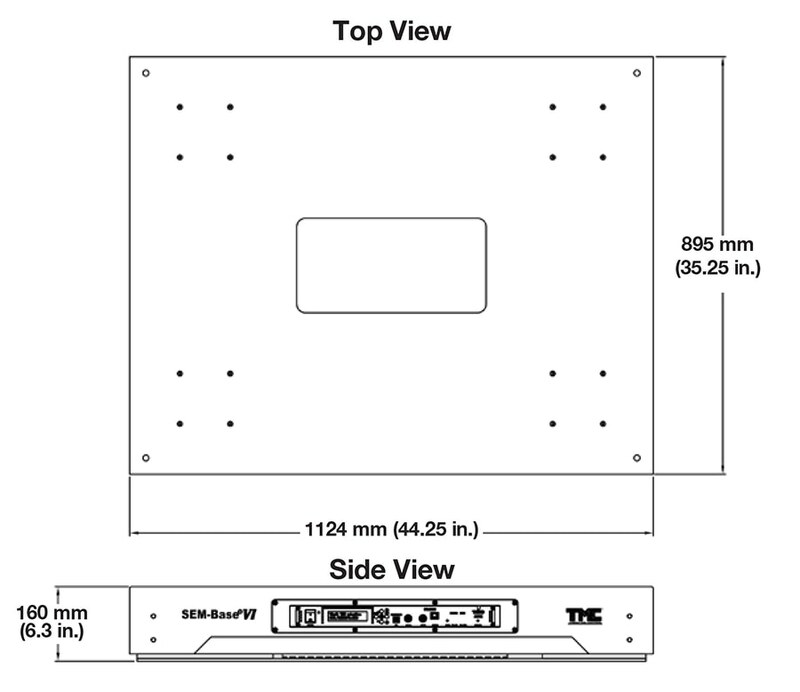 When connecting over Ethernet, the DC-2020 produces the SEM-Base GUI in the user's browser with no application program or additional software to install. Alternatively, the user can interact with the controller through an on-board menu-driven Liquid Crystal Display (LCD). NOTE: SEM-Closure™ is a total environmental solution particularly designed for protecting SEMs. 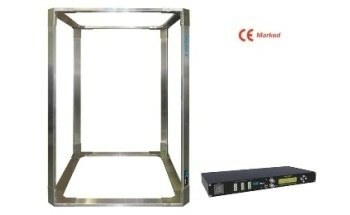 It is capable of accommodating SEM-Base and Mag-NetX® in a sealed acoustical chamber, thus protecting the SEM from magnetic field disturbances, vibration and acoustic noise. Active Inertial Vibration Cancelation – SEM-Base VI uses low frequency, high sensitivity inertial velocity sensors in order to achieve high levels of vibration attenuation, even on quiet floors. Serial Design with Piezoelectric Technology – The unique serial design and proprietary high-force piezoelectric technology results in a wide active bandwidth from 0.6 Hz to 150 Hz and unmatched, inertial active vibration cancelation with 90% reduction starting at 2 Hz. Hard-Mount Technology – SEM-Base® VI is well-matched with all internal SEM vibration control systems and aggressively mitigates low frequency floor vibration starting at 0.6 Hz. The following SEM-Base® accessories will help ensure smooth installation. 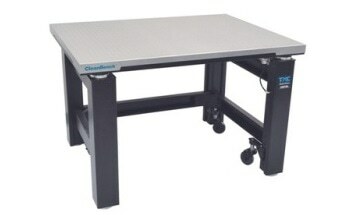 SEM-Ramp allows a SEM pre-fitted with casters to be rolled up on top of SEM-Base without a fork lift or other rigging equipment. 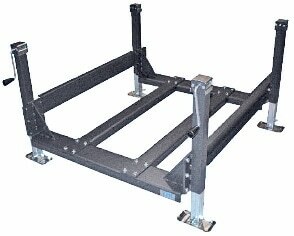 It comprises of two heavy duty steel ramps, which are bolted to the front of SEM-Base. 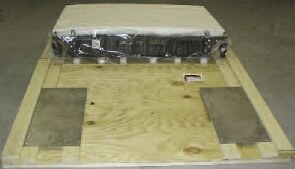 A Convertible Roll-Off Crate is included standard with all SEM-Base orders. 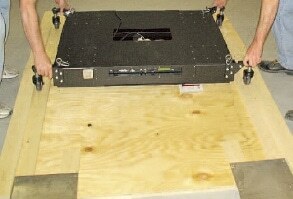 The crate cover converts to a sturdy ramp and the cover slats produce a guide for the wheels, allowing SEM-Base to be effortlessly removed from the crate. 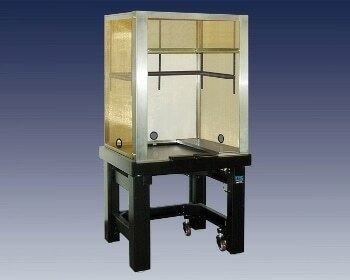 The SEM-Base casters displayed are optional. 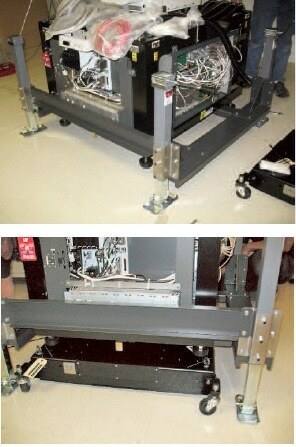 SEM-Lift is considered to be a sturdy and safe lifting device for scanning and electron microscope (SEM) columns. 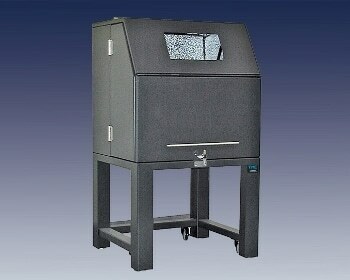 It simplifies and speeds SEM-Base installation on an earlier installed SEM Column. SEM-Lift raises the column several inches allowing the SEM-Base to be rolled into place.